If you’re looking to build a home in Essex County consider a modular home. With a modular home your costs are lower and your turn around time is much quicker. And you can custom design your home. 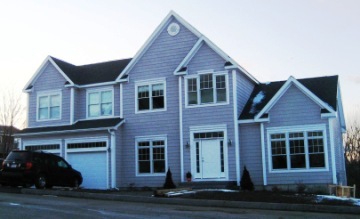 Pro’s Edge Quality Homes has built homes in Salem, Lawrence, and other communities in Essex County. Already have a home in a location you love, but don’t like the home? We can tear down your current property and build you a new design on the same location. So if you’re living in historic Salem or in scenic Lawrence or one of the many surrounding communities we can help you have the home of your dreams. What sets Pro’s Edge apart is our ability to have your home custom built to your specifications, something few modular home builders can offer. We also turnkey services which means we do everything from obtaining the proper paperwork to the completion of a home that you can quickly move into. Our team of experienced and dedicated professionals will work closely with you throughout the building process. From a great starter to a home as immaculate as you wish, our team of experienced home builders are ready to work with you to build the home of your dreams without breaking your budget. Salem Massachusetts modular homes Take a moment to explore our site and tour our Portfolio of Homes. You’ll discover the quality craftsmanship and attention to detail that set us apart from most home builders in the area, including this beautiful home in Salem, Massachusetts. Pro’s Edge builds modular homes in the following communities in Essex County, Massachusetts.